Student Services are following you on your journey in Coláiste Dhúlaigh College of Further Education, from the day you start to graduation. While there is a solid student support network within the college, our role is to focus on extra curricular and non-curricular activities, to support clubs and societies, to secure student deals (with local amenities and businesses) and provide an information hub should you have any queries. We are student centered and work closely with the program co-ordinators and class representatives to provide positive and enhancing experiences throughout the academic year. Some examples of events we carry out are fresher’s day, mature students get together, shows, thematical weeks, course specific events, team building activities, fund raisers, industry visits, competitions. 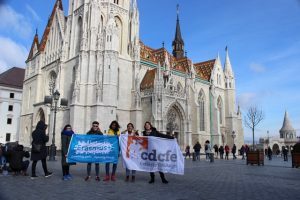 We are also involved with Erasmus +, a European commission funded project that sees students from a variety of programs heading off on vocational work placements throughout Europe. If you are curious about what is happening in your campus, keep an eye out on the website and/or the students’ information notice board. You can also ask your program co-ordinator.